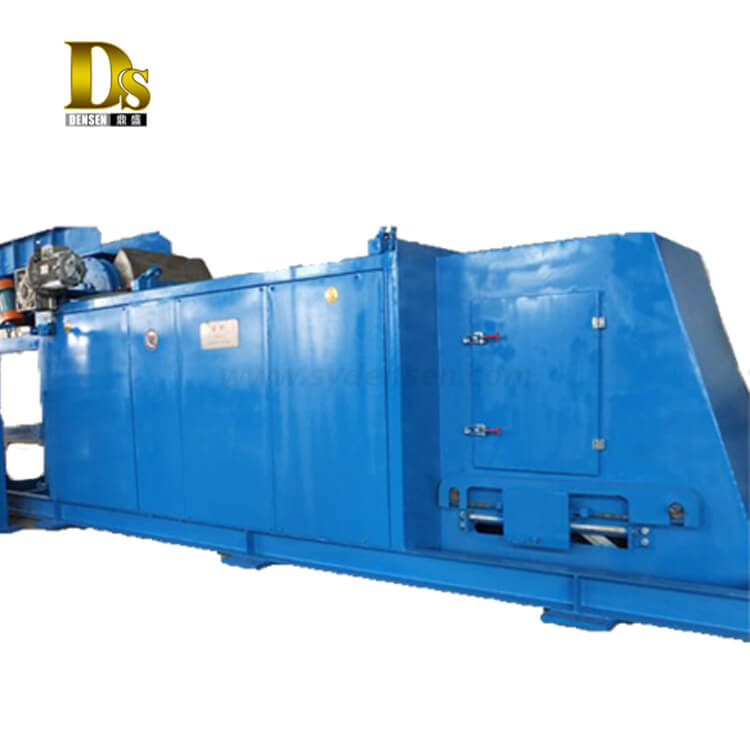 Nonferrous Metal Separator Eddy Current Separator for Separating Copper Aluminium From Plastic - Buy nonferrous metal separator, plastic separator machine, aluminium separator machine Product on New Densen Co., Ltd.
Our engineers can design drawings based on your needs. 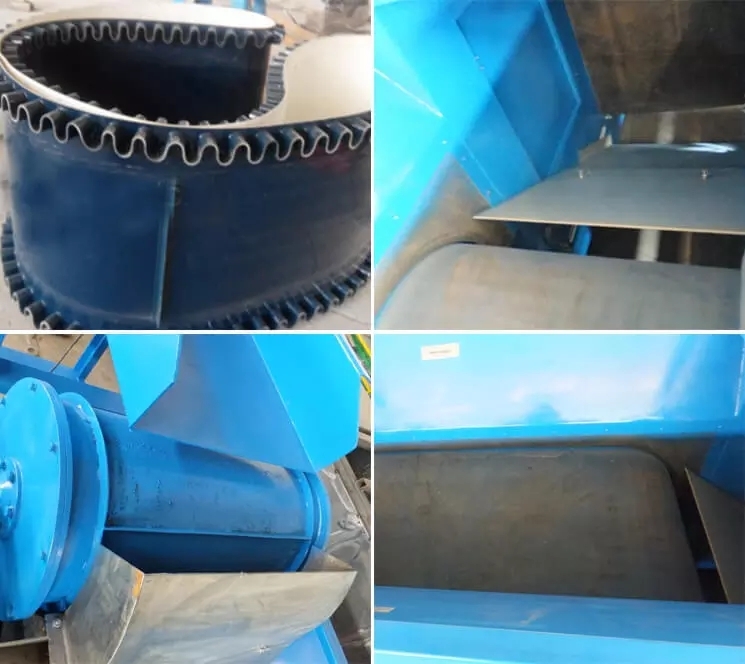 Eddy current separation is based on the use of a magnetic rotor with alternating polarity, spinning rapidly inside a non-metallic drum driven by a conveyor belt. 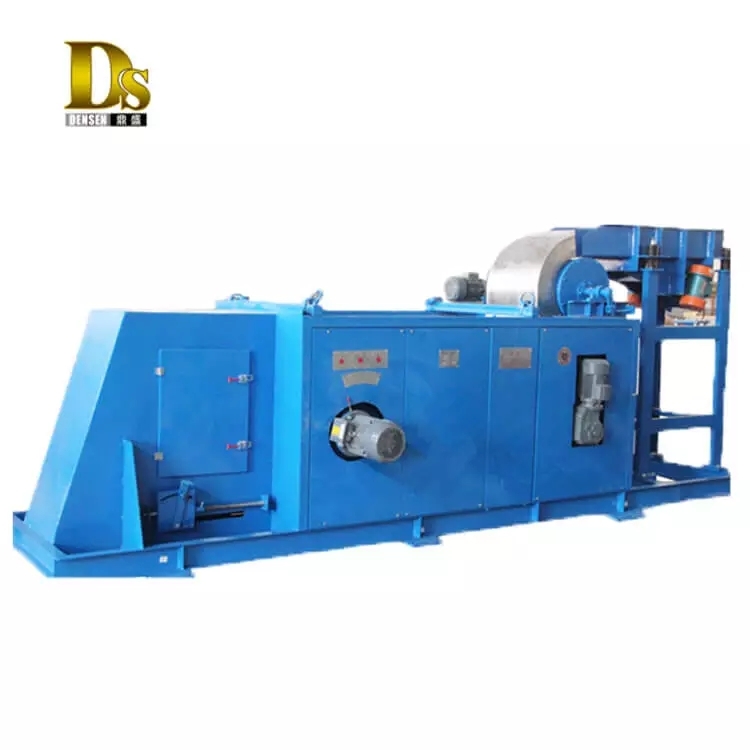 As non-ferrous metals pass over the drum, the alternating magnetic field creates eddy currents in the non-ferrous metal particles repelling the material away from the conveyor. 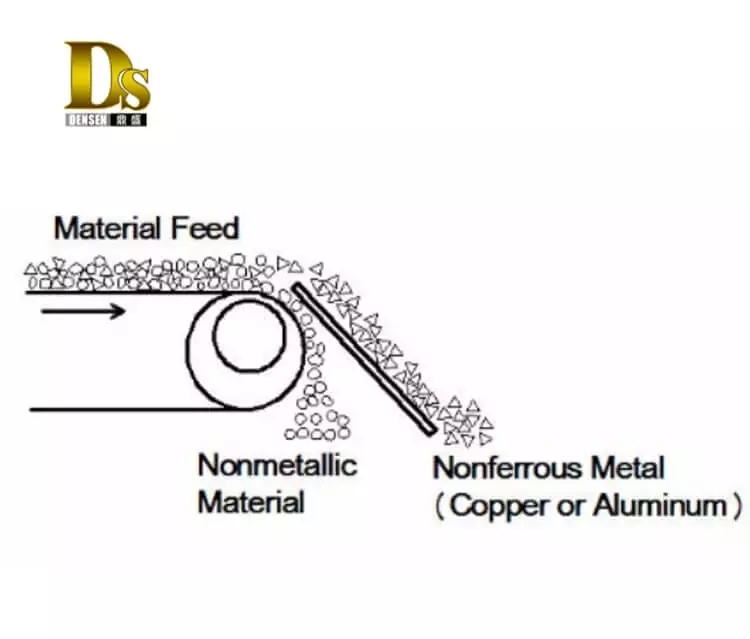 While other materials drop off at the end of the conveyor, the non-ferrous metals are propelled forward over a splitter for separation. 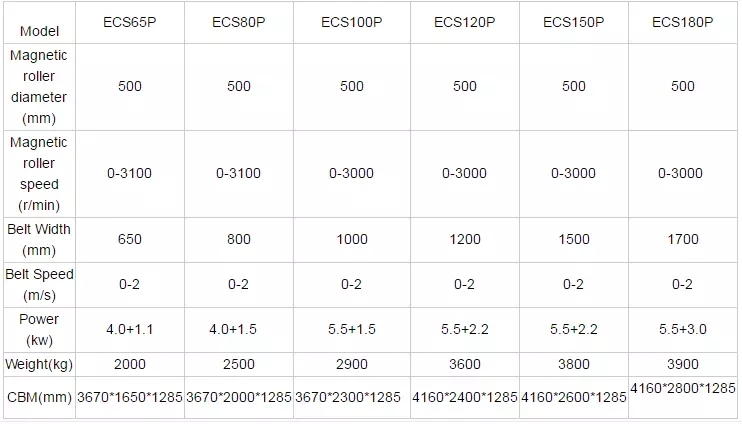 2. compared to concentric pole systems, the eccentric pole system increases the metal yield by 50%. 4.advanced smooth systerm. 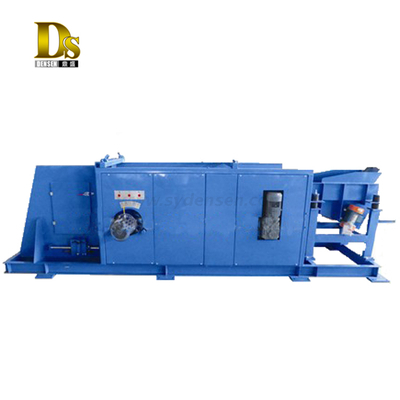 service life of the belt and drum shell is considerably lengthened. 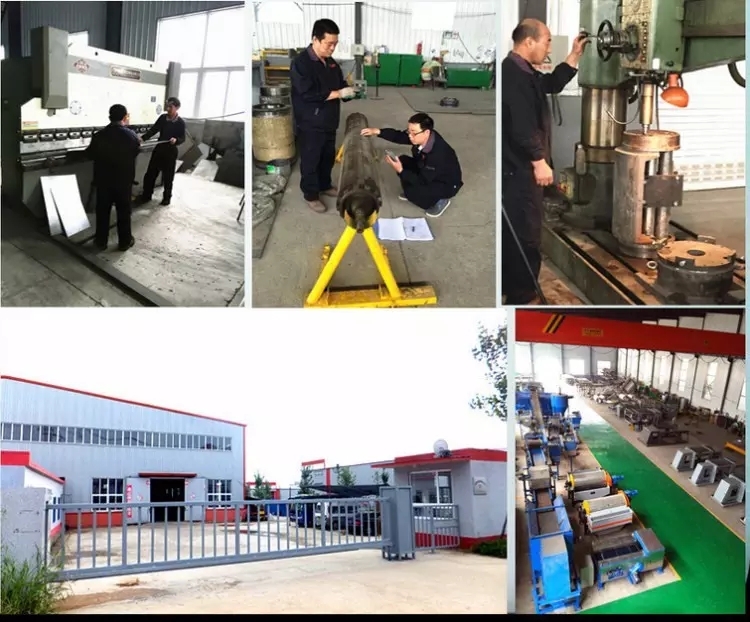 With well-equipped professional engineers and strong technical ability, our company has been in this field for 10 years. 1. 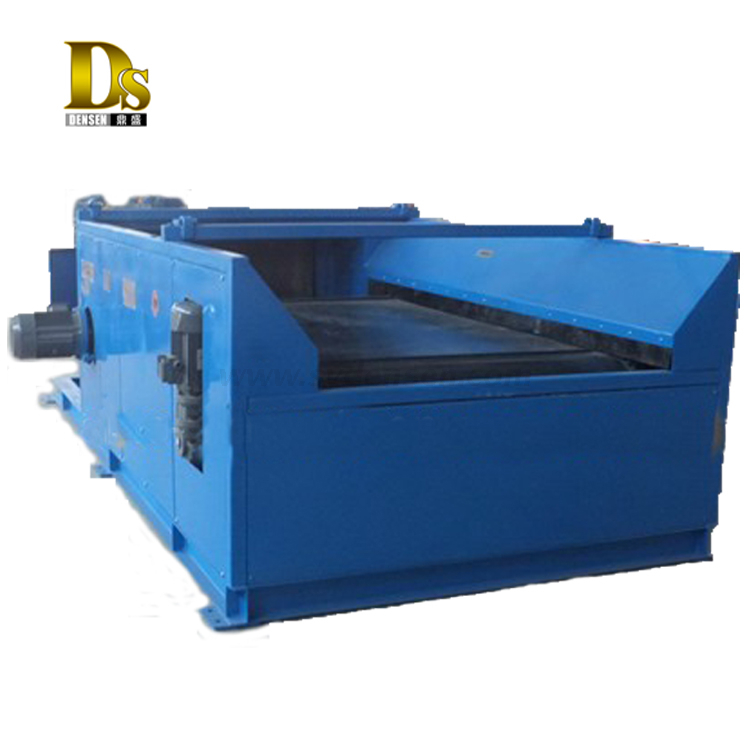 We cooperate with superior suppliers (Nord &Schneider) to ensure the quality. 2. 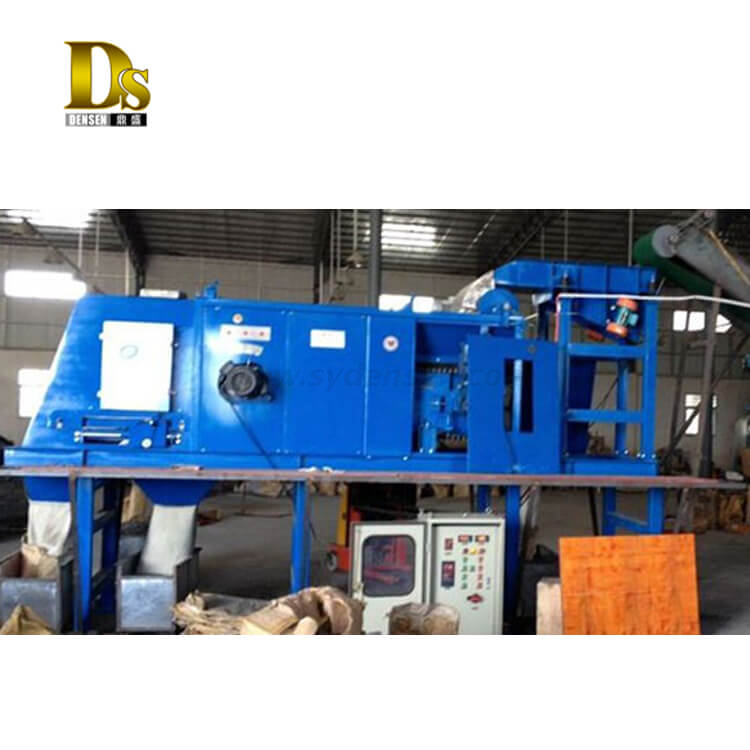 Tests of materials are freely checked for the required quality of the equipment before packing. 3. 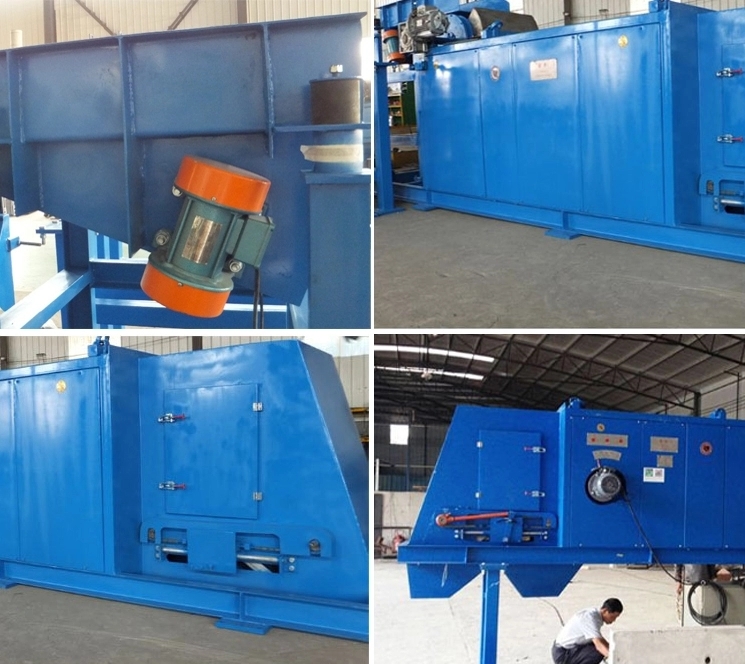 Engineers are always available to service for machinery commissioning overseas, which is not only after sales service support, but also technology support . 4. "Keep Improving, Pursuing Excellence" would be kept forever. 1. Are you a manufacturer or a trader? 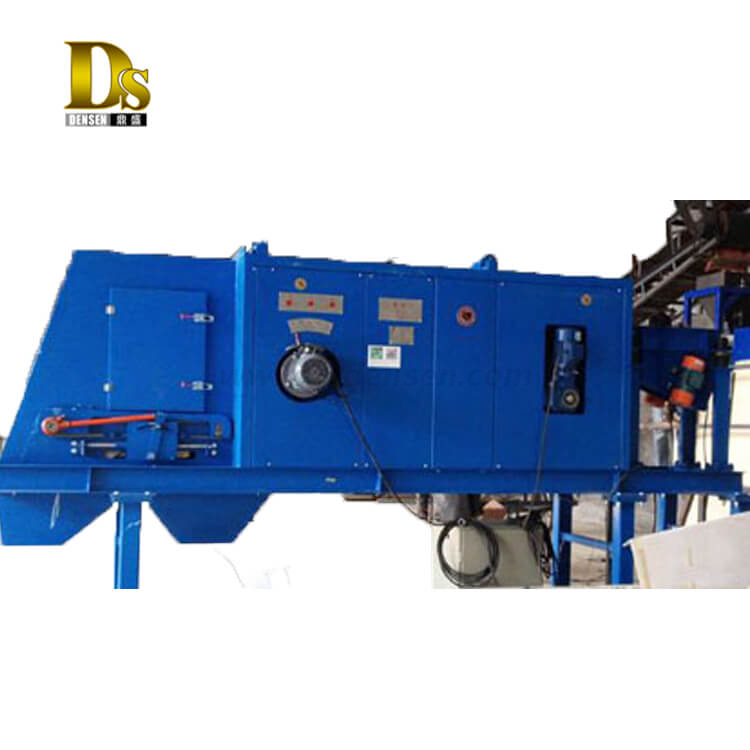 We are manufacturer AND trader, as we have own factories and also long term friendly cooperated sub-contractors. 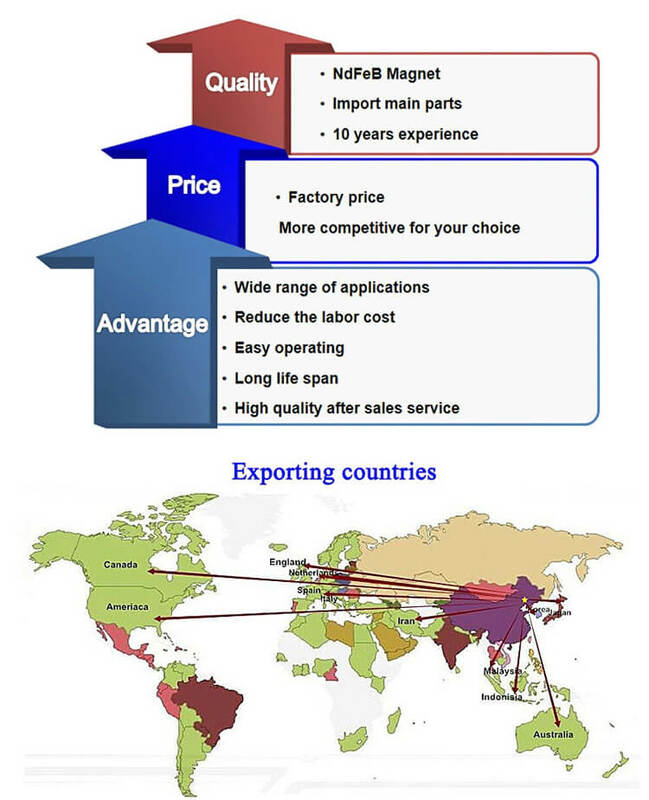 That is why we could provide one-stop service to worldwide customers. 2. What can you do for customer ? 1).Manufacturing and supply various machinery parts. 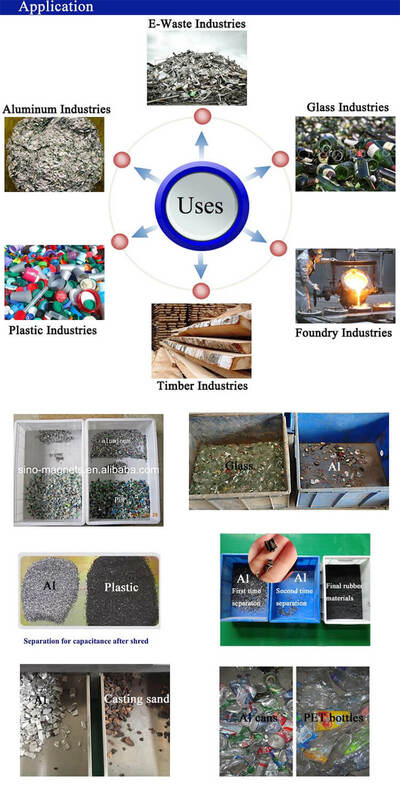 1) all our factories were ISO certified. 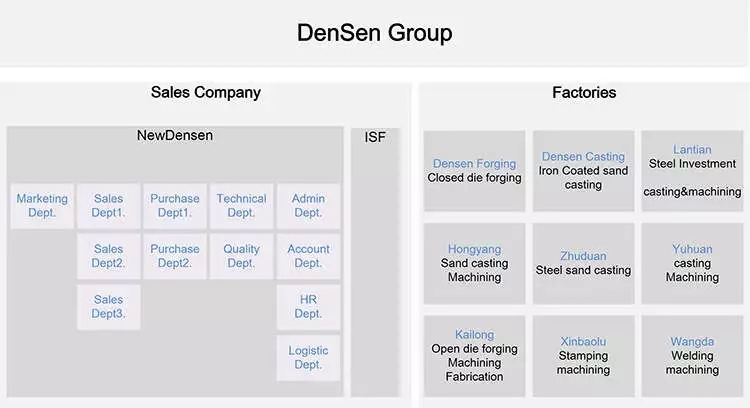 3) New Densen’s QC engineers will do on-site supervision and before EX-work quality inspection. responsible for its reports and every parts no matter how long sold to customers. 4. What is your payment term? 1) Pattern and tooling: 50% prepaid as order deposit; balance 50% paid within 10 days after samples approved. 2)Sample : 50% prepaid as order deposit; balance 50% paid within 10 days after samples approved. 3)Product: 30% prepaid as order deposit;70% paid before EX-work. 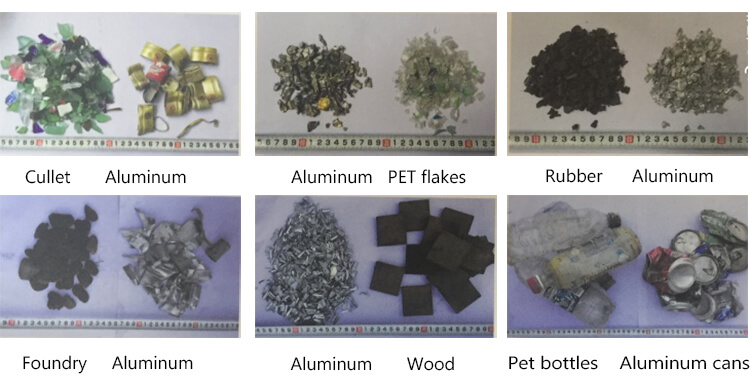 If samples can’t be approved by customers and no need to redo new samples, deposit will be returned to customers. 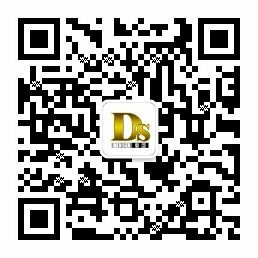 Welcome customer place order with us through credit system (Trade Assurance), to get alibaba’s credit guarantee. 5. How long shall we get the quotation?